It’s been two months since the release of The Ladakh Project EP and SICKFLIP is busy. Two years ago around this time of year, the erstwhile bass music producer previously seen at the yet-evolving end of the micro-scene that was the resurgence of drum ’n’ bass in metropolitan India, was prepping for his first few festival slots at the Bacardi NH7 Weekender. “I believe writing music is an ever-evolving form of expression that changes over time, a creative person’s output being a by-product of what the person is physically and mentally subject to, or surrounded by.” he says. SICKFLIP in the city v/s SICKFLIP in the mountains, contrasting images, that over time tell a tale of personal evolution. More than most, SICKFLIP’s evolution as an artist is matter of open and public record. His earliest releases, marked by aggressive low-end and an unending, 2012 hands-in-the-air vibe, are a far cry from the sounds conjured up in the mountains of North India just a few months go. Played back chronologically, the urgency of Outburst (listen here) tends to naturally give way to the darker, melody-driven, afterparty glitch-hop of his Bipolar EP (here). And then there’s Basswar, which comes off as one side of SICKFLIP fighting the other. In that, his most experimental product till date, the two sides battle with a clear goal in sight – that whoever’s coming out on top is here to stay. It’s just two-tracks long, the aptly-titled EP, but closing number ’Tibetan Basswar’ (below) is somewhat key to understanding the direction SICKFLIP was headed in at the time. The Outbox Project aided him in putting together a video that documents his journey (below), and the still-on-tour, 45-minute-long, A/V showcase comes together neatly with the help of live visuals artist Oblique (read an interview with him here). 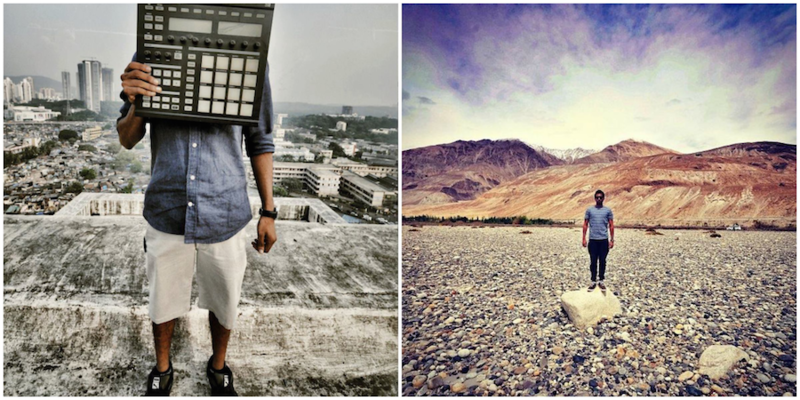 Which finally brings us to the music on The Ladakh Project EP. The sounds SICKFLIP used for were reflective of his being there and writing music out in the open using a laptop and a small keyboard controller. “I’m sure that I wouldn’t have even come close to the sound I achieved in this album had I been writing it in Bombay.” he says. And the EP, at five-tracks and 21-minutes-long, may have benefited from what SICKFLIP calls a “minimalistic approach toward the elements”, but its rich instrumentation and bold melodies stand tall among a lot of music that’s being released and packaged as something “conceptual”. A generation should consider themselves lucky if they live to see an evolution take place, and SICKFLIP’s journey as a musician, and even as a personality, is new to a scene that is ruled, for the most part, by agency/label/Facebook hype. In all this flotsam, The Ladakh Project stands out for communicating much more than just a musical idea. That SICKFLIP insisted on documenting his travels, which then turned into a series of photographs and an EP (Bipolar; look here), that eventually led to a return-to-source of-sorts, culminating in another musical project, plus a video, solidified by a national audio-visual tour, is not only a commendable feat for an independent musician. It’s the positive outcome of a series of calculated (and instinctive) manoeuvres; the kinds of decisions that shape an artist’s career. The five songs on the excellent Ladakh Project EP are representative of a producer allowing himself to be pulled in different directions, testing limits, and gently fracturing boundaries, giving way to the birth of a truly international sound, one that paints pictures and writes stories in the listener’s mind. The final outcome, then, is indebted to nature and travel, to people and personalities, to cultures and communication, to music and prayer and a whole lot more, all bound together by the will and vision of a single person, an artist. 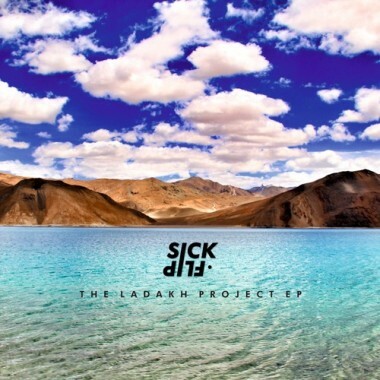 Listen to The Ladakh Project by SICKFLIP below.